“The way through a man’s heart is through his stomach”. Not sure if that holds true for all men out there, but you all can attest by reading my blog that it definitely holds true for me. I love food, not just the consumption of it, but creating it as well. As much as I love food and can talk about it all day, I am an active individual as well, who loves to swim, dance, cycle, and was a fencer for a few years. All these activities, even the basic functions of our body, all require a healthy heart. I hope you’ve all enjoyed reading about all the food I’ve tasted and dishes I’ve cooked, but I’ll be slightly serious for a moment and talk about a cause that’s dear to my heart. 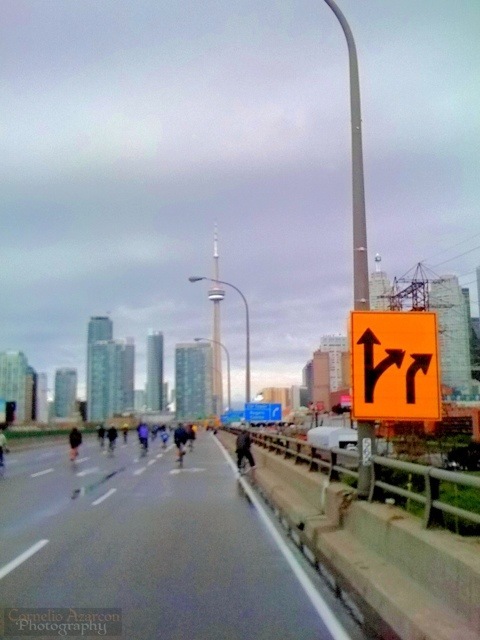 It all began in 2010 when a friend of mine, a nurse at the Sick Kids Hospital in Toronto told me about this annual event that benefited the Heart & Stroke Foundation called the Ride for Heart. So I registered and pledged a few hundred dollars for the cause, and on event day, I felt happy that I participated in a good cause. It was a rainy and cold Sunday morning, but I enjoyed the event so much that I promised myself to participate every year. You all are probably wondering what the Ride for Heart event is. 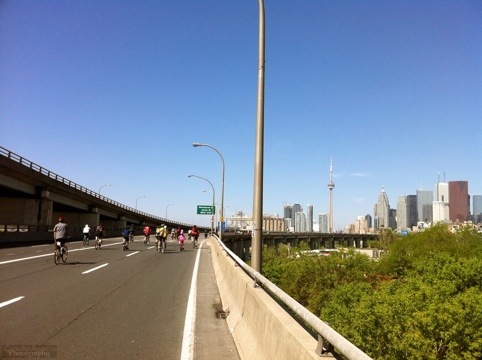 The Ride for Heart is an annual event held in June that shuts down the two main highways/arteries that passes through Toronto for half a day on a Sunday to allow participants to ride a bike traffic free to raise awareness for heart health and raise funds for the Heart & Stroke Foundation. 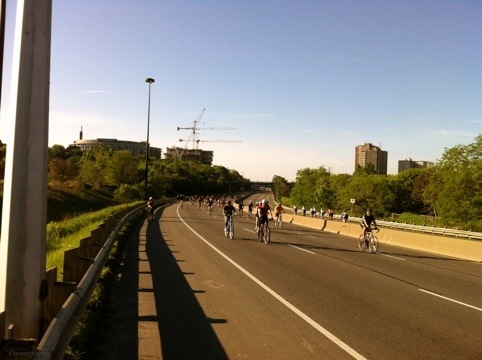 This year, the ride takes place on June 3rd, that’s 98 days ’til event day. 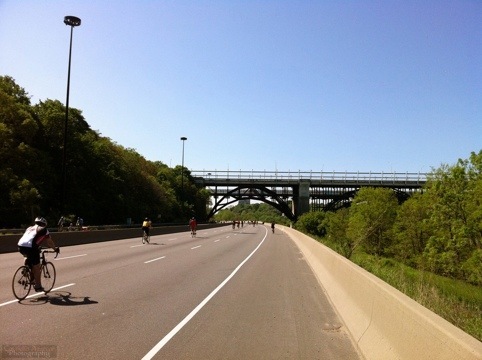 There are 3 distances to choose from, 25km, 50km, and 75km. I’ve done the 50km route the past 2 years and will be doing the same route this year. The ride is very exhilarating and it truly is n experience of a lifetime. 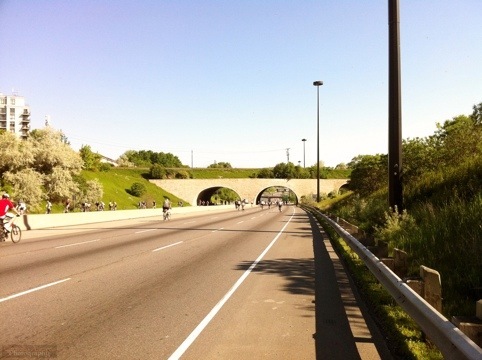 When do you ever get the chance to cycle on a highway/freeway? In addition, the scenery is quite breathtaking. The weather last year was great! It was sunny with a nice crisp breeze, which also saw a record number of riders participate in the event. The atmosphere is fun and friendly as everyone shares the road for a cause. It truly is a brilliant idea; shutting down the main arteries of a city to rise awareness of heart health and the impact on the community. The event is held in Toronto, but welcomes riders from all over Canada, and even riders from the United States participate as well. My goal this year is to participate as a VIP (Very Important Philanthropist) rider by raising $1000 or more, to help fund research, education, and life saving equipment in various communities in Canada. My reason for supporting this event is to help promote awareness for heart health and living a healthy lifestyle. I know some of my meal choices may say otherwise, but I try to counterbalance it with an active lifestyle. We only have one heart, and it already takes a beating when we go through a break-up or experience other emotional stimuli. Our heart helps provide life by pumping blood through our veins, so let’s be nicer to our heart and make it as strong as possible physically, so it can help us to live through the emotional roller coasters called our lives. Now, this is where I ask for your support. If you would like to donate, please click HERE to go to my donation page or click on the badge on the right side of the page just below the Subscribe button. 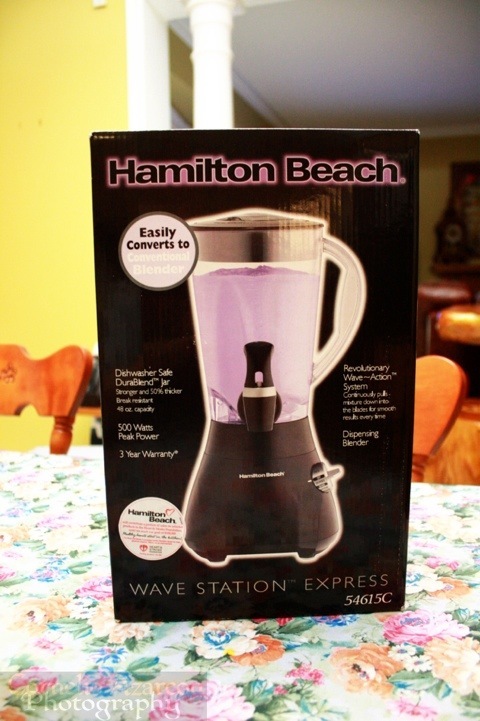 Wait, there’s more…all donors will get a chance to win a Hamilton Beach Wave Station blender (shown above). I would like to thank you all in advance for your support.